Oww we've been through one of the most intense weeks of our lives! As announced earlier we're working on two splendid releases: the Triquetra debut and a retrospective of Ray Castle & Collaborators (Insectoid, Rhythmystec). We'll make a spearate post about them in a couple of days, with extracts and pictures ! Just in time for Christmas presents, right ? They will also be available through our ambassadors from mid-January 2018. Pricing strategy: We decided to work with 2 different prices, as not everyone has the same economic situation. We have "social" countries and we have "mainstream" countries. 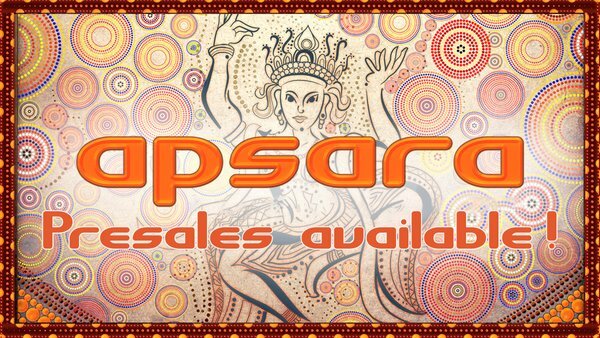 Like this we try to make sure everyone is able to make it to this pure goa-trance event! At the door - TICKETS AT THE DOOR WILL BE AVAILABLE! Kids: Children can enter the festival for free up to their 13th birthday. Ambassadors: for some people and in some countries it is NOT easy to have a bank card, or pay via paypal. For those countries, we have ambassadors as well. With them you can pay cash or on their local account. The ambassadors only start to work at Phase 1, so the 17th of january. We will have ambassadors in: Belgium, Brazil, France, Germany, Israel, and several central/eastern European countries. The list will be disclosed in the first days of January.